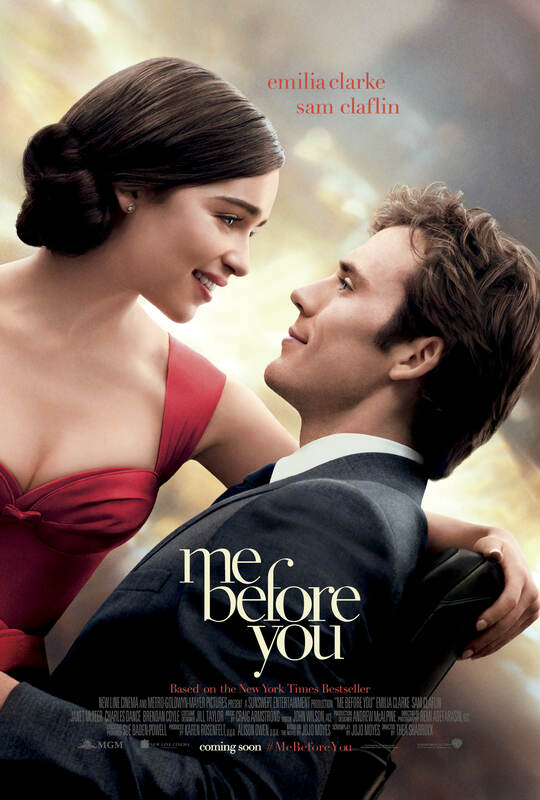 Me Before You, adapted from Jojo Moyes bestselling novel, follows Louisa ‘Lou’ Clark as, desperate for a job, she takes on the role of carer for the paraplegic Will. It’s a romantic drama, with some comedic moments and some teary-eyed-tissue-grabbing moments. I haven’t read the book, but the script was adapted from the book by Jojo herself and would suggest the film is similar to the book (but not necessarily). There has been some controversy over the representation of disability and assisted suicide in the film. I’m not going to dwell on this too much and focus on what I thought of the film and don’t want to spoil what happens through talking about it, but it is a very important discussion. I do feel it could have dealt with the issue with disability better, having a more balanced view about disabled life and assisted suicide, which may have given the film more depth and substance. I can understand why many people are angry with how it is portrayed in the film. It was an okay film. That really is the perfect word to describe it, and why I gave it a three star rating. It wasn’t exactly bad, but it wasn’t great either. To start it was quite slow and afterwards looking back at it, not much happened really. The acting was great. There wasn’t a weak performance from any of the main cast. Emilia was excellent as the bubbly and eccentric Lou and I found the character incredibly likeable. They did a very good job with what they had to work with. This could have been a really great film if what they’d had to work with had been better. There were plenty of people laughing and crying during the film. I found myself genuinely laughing at some very amusing moments, and also crying a little at the end (but I cry at lots of films so that’s not much of an indicator of its tear-inducing capabilities). There is some issue with bringing a serious and sensitive topic like this and putting it into the setting of a rom-com. I will return to the word I used earlier: okay. I’m glad I went to see it, but I won’t be rushing out to buy the DVD. It has been surrounded by controversy about its representations of disability, but perhaps this will mean people will be more aware about the sensitivities of the topic and the importance of how these topics are portrayed. The latest instalment in the X-Men film series pits mutants against mutants as Apocalypse rises again to find his world changed from when he was conscious before in Ancient Egypt. He seeks to wipe the Earth clean and start again and gathers four mutants to be his four horsemen of the apocalypse. Professor X and his friends and students must defeat this enemy and ‘save the world’. From watching the trailer I was highly anticipating seeing this film. In this one, we finally get to see the origins of Jean, Cyclops and Storm. Part of what made this film for me was that it included some of my favourite characters from the original film trilogy and the new film trilogy – Jean, Cyclops, Storm, Kurt, Quicksilver and Hank among others (and unsurprisingly a cameo from a certain mutant). There were also some new characters such as Psylocke who seemed pretty cool, although we didn’t get to see much of her character. The acting overall was really good. I once again ended up having my heart torn out for poor Eric/Magneto, whose life always seems to get ruined (I can hardly blame him for hating humans after all that has happened to him). I think they could have done more with Apocalypse, he ended up coming across as a pretty generic villain which seemed to be more to do with the scripting as Oscar Isaac is a good actor. They have a super powerful mutant who emerges from a thousands of years sleep to find his world ruined. There is conflict/motivation with his character but they don’t really utilise it. They had an opportunity to have a really developed three-dimensional villain but ended up with a pretty two-dimensional I-want-to-destroy-the-world antagonist. As they changed the timeline with Days of Future Past it’s interesting to see what direction the story and characters take (though I don’t want to say too much and spoil anything). It was definitely good watching it having seen all the previous X-Men films, as there were some references to the previous films in there. The action scenes were good and gripping with the final battle being particularly good. I enjoyed the story overall, although it was a little slow to start. I mean, obviously it was the typical superhero-we-have-to-save-the-world plot but that was expected so wasn’t really a problem for me. Although it has some flaws, I couldn’t help but absolutely enjoy watching it.